I enjoy sewing. I love that it has an instant reward for my efforts. I admire how some people are able to make a living out of blogging and crafting and sewing and cooking and being super mom. Obviously implying, that’s not me. I like simple projects like kids clothes, maternity and baby accessories, pouches, and random things by request. This summer, I’ve made a Snow White inspired dress, Elsa costume, and a stroller strap. 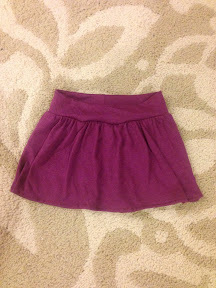 When I saw the Monkey Bar Skirt from CrafterHours, it looked like a quick fun project. It took me about half an hour (over the span of 3 days), and Ella wanted to wear it the day she saw it completed! Now, that’s an instant reward! This entry was posted in i made this and tagged sewing. Bookmark the permalink.